They grow to 61 to 91cm long, and have a distinctive black mask face with a ringed tale. Raccoons are nocturnal mammals, and are known for their mischievous nature. 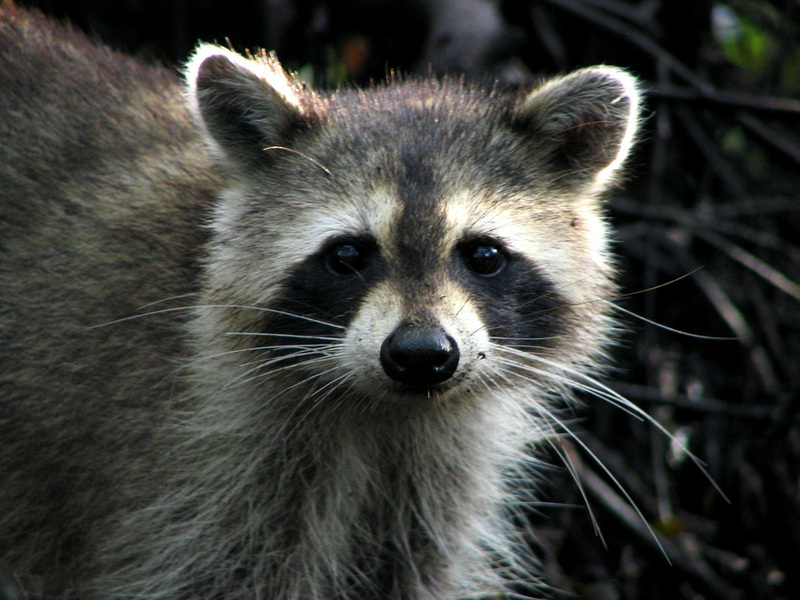 Raccoons typically search and dig around in trash cans, creating a mess and scattered trash. Most of the time, these creature prefer to live in hollow trees and logs near lakes and streams. They come out into populated areas when they're searching for food and refuge. A few of their favorite man-made structures to live in are beneath porches, outbuilding, attics and chimneys. 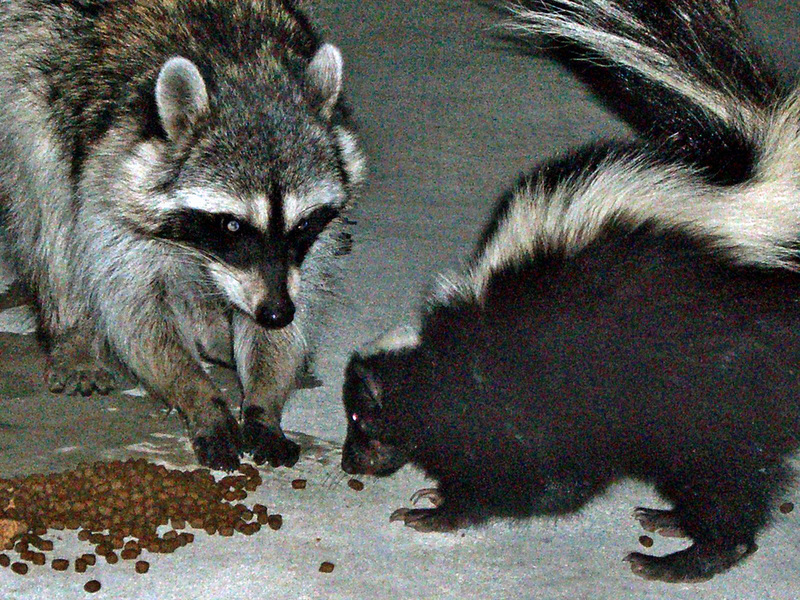 Raccoons eat insects, frogs, fish and crayfish in spring and early summer. In the late summer and fall, they start searching for nuts, grains, berries, fruits, and sweet corn from gardens. Since raccoons enjoy raiding trash cans, it is a good idea to use one that is made out of hard plastics and metal. Cans should have tight-fitting lids and straps to help hold them shut, so they raccoon cannot open them. Access to chimneys can be eliminated by covering up the area with screen wire over any openings. Another control method is to capture the raccoon. However, check the local regulations for trapping and relocation requirements before doing so. Or even better, contact your pest control professional who has experienced training in resolving pest issues in correct ways. 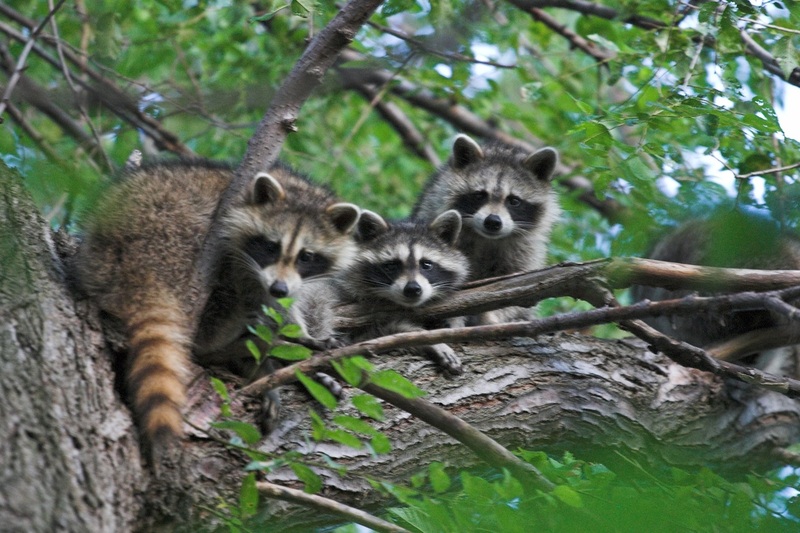 Do-it-yourself trapping can be dangerous from raccoon bites, falls from ladders and contact with raccoons and their wastes that can cause disease problems. Raccoons are considered a primary carrier of rabies, which signs in raccoons may include a staggering gait, erratic wandering, discharge from eyes or mouth, and oblivious to noise and movement. Here are some more pictures of raccoons! To learn about Rats and Mice, click here!